GAF, North America has launched a visualizer tool to help sell its StreetBond Pavement coatings which helps beautify and extend the life of surfaces made of asphalt and concrete. Created by Chameleon Power, the leader in visualization technologies and GAF’s partner in roofing visualization tools. the StreetBond Visualizer assists customers with envisioning the outcome of their paving project prior to installation. Chameleon Power visualizers shorten the design cycle and enhance customer satisfaction. 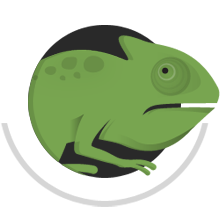 Websites that utilize Chameleon visualizers enjoy increased user time of more than 3X and sales closure rates of more than 75%. Chameleon Power is the leader in photorealistic visualization in 2D, 3D, Virtual Reality and Augmented Reality. Chameleon Power applications help businesses speed sales conversions by enabling their customers to configure, see and experience choices in a life-like digital environment. Chameleon Power’s visualization engine employs proprietary color and appearance technology, and incorporates a robust content management system to facilitate seamless image and product data utilization across all mobile and web platforms. Chameleon Power visualizers are used by category-leading companies in building, remodeling, construction and home décor, and are being adopted in all industries where visualization is critical to the purchase decision. For more information visit chameleonpower.com or follow us @chameleon_power on Twitter and on LinkedIn.